Paradox is an interactive installation created by Computational Design student Fereshteh Shahmiri. 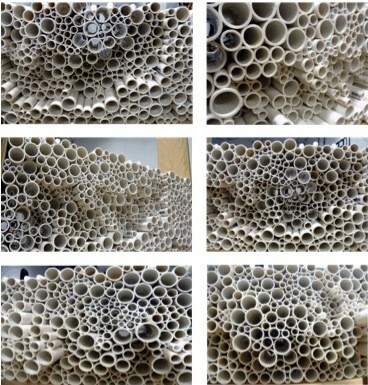 For this project, Shahmiri designed a wall constructed of tubes of varying sizes. 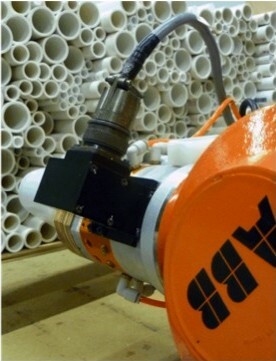 A robotic arm behind the wall animates the tubes, creating a dynamic surface that responds to human motion. 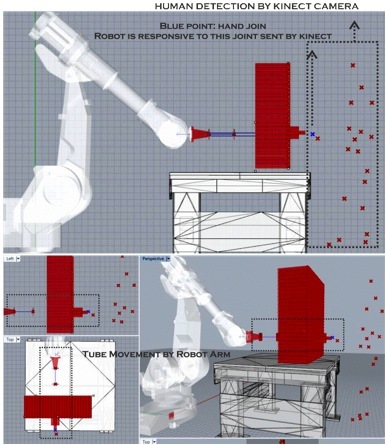 The project explores connections between physical architecture and virtual computation. Paradox was supported by a microgrant from the Frank-Ratchye Fund for Art @ the Frontier (FRFAF)— an endowment founded to encourage the creation of innovative artworks by the faculty, students and staff of Carnegie Mellon University. With this fund, the STUDIO seeks to develop a cache of groundbreaking projects created at CMU — works that can be described as “thinking at the edges” of the intersection of disciplines. Fereshteh Shahmiri is a graduate student in the CMU School of Architecture.